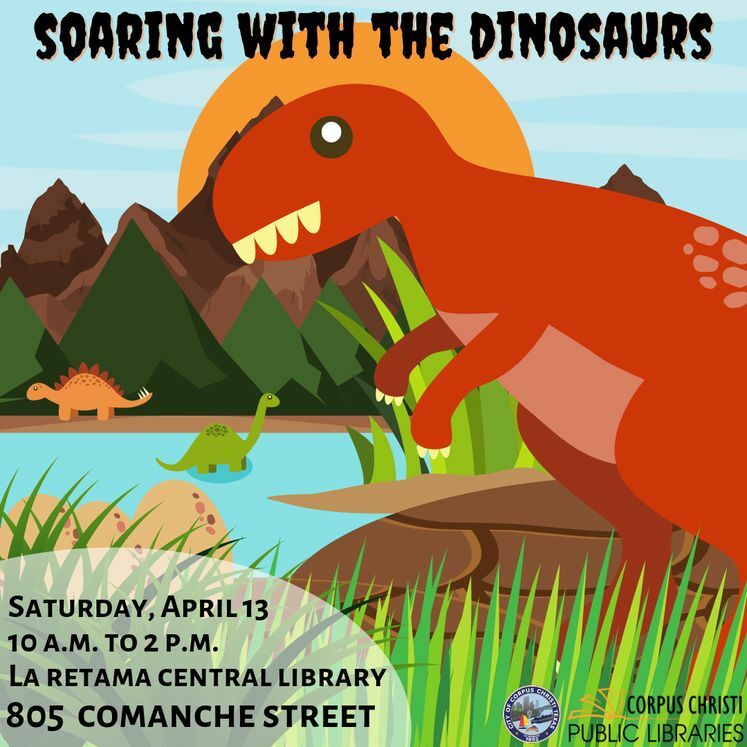 CORPUS CHRISTI, TX – Parents and children of all ages are invited to join in a Dino-mite celebration at La Retama Central Library during the “Soaring with Dinosaurs” event honoring the Week of The Young Child. Those in attendance will take a step back in time with special entertainment from Dinos Alive! The celebration will also include carnival games, crafts, free books, music and a chance to read with your favorite pup during “Tails for Tales.” The roaring good time will take place Saturday, April 13 from 10 a.m. to 2 p.m. at 805 Comanche Street. The FREE event is a collaborative effort between the Corpus Christi Public Libraries along with the United Way Success by 6 Initiative, Del Mar College, Texas A&M University-Corpus Christi, and Corpus Christi Independent School District. For more information contact Public Information Officer Olivia Santos at 361-826-3248 or by email at olivias@cctexas.com.